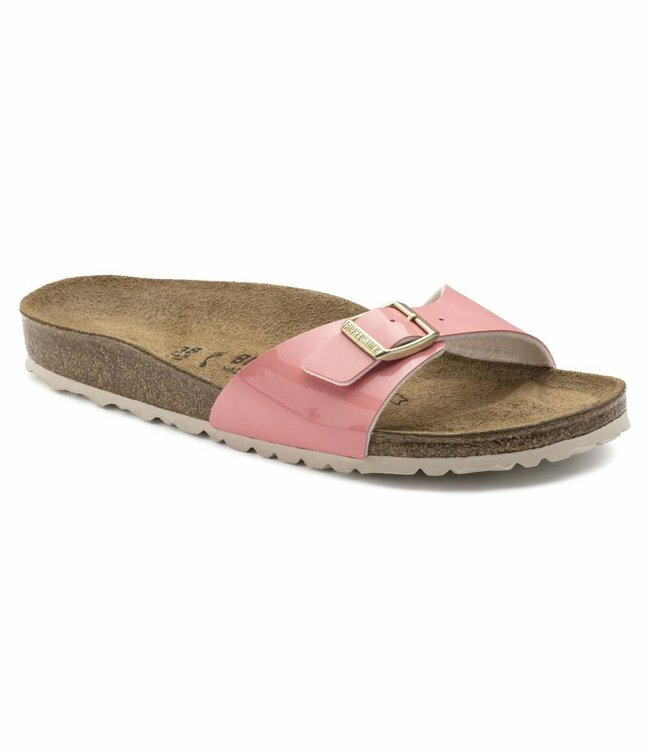 The Birkenstock Madrid has grown to become an essential fashion item. All health-conscious fashionistas will be delighted to hear that it has now been reinterpreted in a stylish patent version. The BIRKENSTOCK Madrid, a classic model that was first launched as a "gymnastics sandal,” has grown to become an essential fashion item. All health-conscious fashionistas will be delighted to hear that it has now been reinterpreted in a stylish patent version. The upper and sole, as well as the fleece lining of the upper, come in contrasting colors and make this version the height of fashion.